Seqex is a patented medical device for the treatment of disorders and diseases of the muscular and skeletal system. It exploits the beneficial effects of electromagnetic fields, generated at extremely low intensities and frequencies, administered in customized pulsed cycles both over the entire body and locally. 1 - What does the name "Seqex" mean? 2 - How was Seqex born? 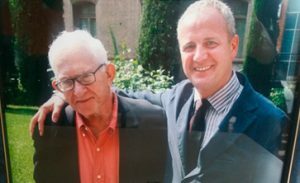 The first Seqex prototype was developed in 1996, based on the discovery of the ICR-like phenomenon by the American biophysicist Abraham Liboff and with the help of some skilled researchers in physics, medicine, and biology, creating an innovative new technology for the emission of therapeutic electromagnetic fields. In 1999 the company SISTEMI was founded for the manufacture and marketing of Seqex in Italy. In 2017 the marketing program went international, starting with Canada. 3 - What is Seqex? 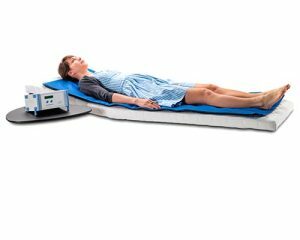 All the Seqex models are approved under Directive 92/43 CE as medical devices, and designed for therapeutic treatment commonly known as “magnetotherapy” using variable electromagnetic fields applied to the whole body and, when necessary, also locally. Seqex differs greatly from the other widely available magnetotherapy systems thanks to a combination of certain design and technological features: firstly the use of extremely low frequency fields (from 1 to 80 Hz), intensities below 20 µT (0.2 Gauss), the generation of 30 different waveforms, and above all the customization of treatment using a patented test procedure. 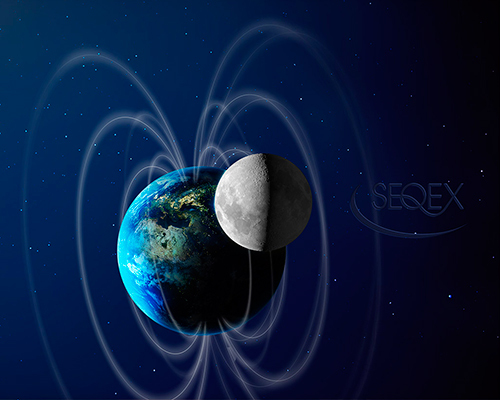 4 - How does Seqex differ from traditional magnetotherapy devices? The other widely available magnetotherapy devices on the market produce digital electromagnetic signals consisting of waveform, intensity, and frequency combinations referred to as “codes” or protocols. These devices administer the same identical sequence of codes (generally a few dozen) to all patients with the same pathology. Seqex instead is capable of producing more than 2 million of these codes, requiring computerized management. During the test procedure, the sequence of codes is customized on the basis of the measured response of the patient’s body. 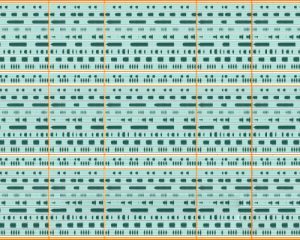 In addition, the 30 waveforms generated by Seqex are “constructed” as analog signals to ensure “harmonic complexity”, unlike the smooth “digital” signals produced by almost all the other available devices. The exclusivity of Seqex derives from the customization test, conducted at a Seqex center by authorized medical personnel, using a professional Seqex Med device. 5 - How is it used? The use of SEQEX devices for therapeutic purposes must be under qualified medical supervision. 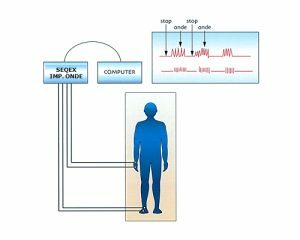 In the professional version reserved for doctors and physiotherapists, the equipment (Seqex Med) performs a personalization test in the initial phase: the electromagnetic field generated and modulated by the device in its 30 waveforms, is transmitted at precise frequencies and intensities to a mat on which the patient lies fully dressed. Electrodes are applied on the hands and feet in order to measure the bio-electric variations that occur under the stimulation of the field transmitted by the mat. 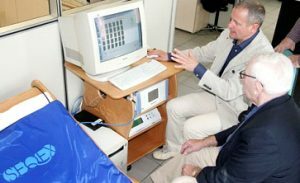 The test establishes the most effective combination of frequencies, intensities, and waveforms according to the bio-physical characteristics of the person being treated. This combination is saved on a memory-CARD as a personalized treatment program that can be administered either in professional clinics or at home using the reader devices for family and home use (Seqex Fam and Seqex HC). Customized treatment cards are written at Seqex centers and the customization test can be performed for total body treatments or for limited areas of the body (using various accessories, including probes and local pads). 6 - What are the fields of application? The main field of application for electromagnetic therapy is to treat osteoarticular and musculotendinous disorders. Seqex signals are very rich in “harmonics” and so more easily enter into “resonance” with the numerous elements comprising the cells of the human organism. For this reason, in addition to the traditional magnetotherapy applications on the musculoskeletal apparatus, Seqex is also included in numerous integrative medicine protocols with the purpose of: reducing healing time, reducing pain, restoring cellular metabolic equilibrium, improving general wellness and quality of life. Seqex is increasingly used as an adjuvant to traditional clinical treatments. 7 - What benefits can it offer? Many studies report a high efficacy of variable electromagnetic fields in combating inflammation in osteoarticular disorders and associated pain, reducing the need for anti-inflammatory drugs. The same fields are also very effective for promoting regeneration of bone tissue in delayed fracture consolidation. Some studies have also shown that calibrated electromagnetic stimuli can help to normalize certain physiological cell functions. They can also help regulate antioxidant activity in the organism, reducing the production of free radicals and so improve the efficiency of the body and its capacity to recover from musculoskeletal sports injuries. Seqex devices can therefore assist physiotherapists during traditional rehabilitation courses. 8 - What are the legal prohibitions on the use of these devices? Treatment must NOT be administered in cases of: pregnancy, epilepsy, presence of implanted electronic stimulators (ex: pacemakers), neoplasia. In reply to a specific application for assessment submitted by S.I.S.T.E.M.I. srl, the Italian Revenue Agency, Provincial Directorate of Trento, concluded that the payment of expenses for the purchase or rent of SEQEX brand electromedical equipment can be considered in all effects a “medical expense” with entitlement to deduction from personal income tax to the extent of 19% (pursuant to art. 15, par. 1 of Italian Pres. Dec. 917/86). The deduction can be claimed during presentation of either the 730 or Unified tax forms. Eligibility for deduction is dependent on possession of a specific medical prescription for the use of a relevant device. Contact us to find out about this new device which can help your patients and enhance your medical practice.